Immaculate ocean facing 2 bedroom 2 bath unit in One Archer Lane is available now! 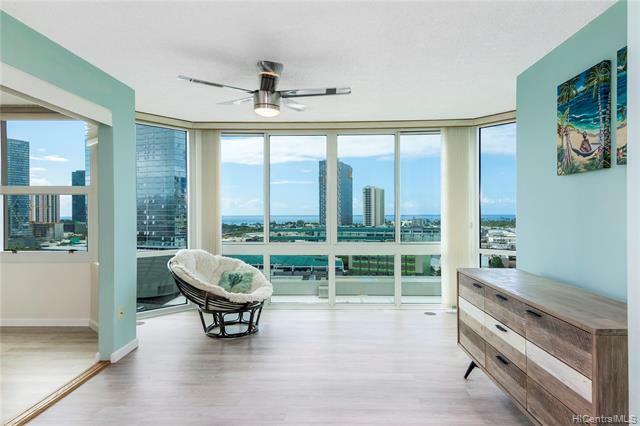 Ocean and city view from every room and features corian kitchen counter top which was expanded for bigger dining experience and the oversized parking stall right next to the elevator.One Archer Lane is conveniently located close to downtown Honolulu and Kakaako. Pet friendly building with 24-hour security, and a high occupancy rate. Seller prefers to use Title Guaranty Kahala office. Listings provided courtesy of Hawaii 5-0 Properties, Inc..